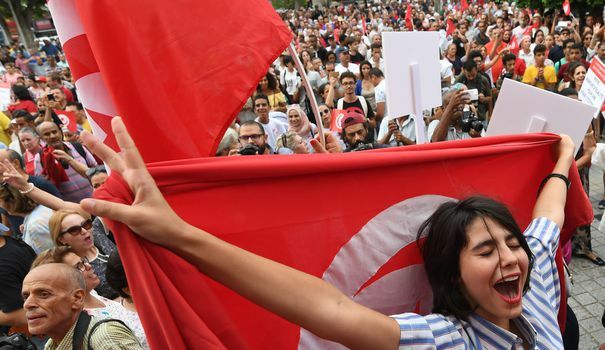 Tunisia’s parliament will soon debate a controversial bill to grant equal inheritance rights to men and women in the North African country, President Essebsi said last week. Under the current system, men receive twice the share of any inheritance granted to women. According to IFC, the new inheritance law that will grant men and women equal rights will boost the financial inclusion of women in Tunisia. The IFC said in a report securing loans is one of the main challenges women entrepreneurs face in Tunisia and with the new law, they could obtain more property through equal inheritance in order to secure loans. Sonia Fakki, owner of Habiba Jewelry, said in the report that when evaluating a project, banks don’t rate the quality of the project or the qualities of the entrepreneur. They are only interested in collateral. Women in Tunisia own 18 to 23% of businesses and their credit demand for small and medium-sized businesses (SMEs) is around $595 million. Yet, the IFC reports their financial needs are largely unmet. By meeting this demand, the IFC predicts a financial opportunity not just for women, but for banks too. Long seen as a pioneer for women’s rights in the Arab world, Tunisia has pushed ahead with other reforms promised after its 2011 revolution. Posted by Khalid Al Mouahidi on August 23, 2018. Filed under Business, News, Zoom. You can follow any responses to this entry through the RSS 2.0. Both comments and pings are currently closed.